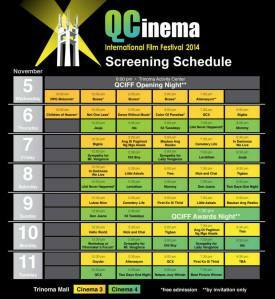 Props to Quezon City for supporting the country’s film industry. They are mounting the 2nd QCinema International Film Festival this year, which will run from Nov. 5 to 11 at the Trinoma moviehouses. Focusing on the theme “From Flahsback to Fast Forward,” the filmfest has 11 entries, all of which were given post-production grants by the Quezon City Film Development Commission.